BATAVIA, Ohio (April 27, 2018) — In a Clermont County Common Pleas Court appearance on April 25, Mary Ann Belt, former executive assistant in Water Resources Department (WRD), agreed to repay Clermont County $10,841.65 for gift cards and other items inappropriately charged to a Lowe’s credit card. Ms. Belt will also plead guilty to a fifth degree felony theft, according to Assistant County Prosecutor Katie Terpstra. The case has been continued until June 4. Ms. Belt was an executive assistant in the water department in 2016-17. Among her responsibilities was paying some of the water department invoices. Previously, she had worked in customer service in the same department since 2012. Water Resources Director Lyle Bloom was notified on Oct. 19, 2017, by Duke Energy that several of the water department’s accounts with Duke were past due. The Clermont County Auditor’s Office had also alerted the water department that a number of late payments had been made to Duke. Mr. Bloom investigated the past-due bills and found that Clermont County had paid approximately $10,000 in late payment charges over 2016-17 to Duke Energy. These particular accounts were the responsibility of Ms. Belt. Other vendors she was responsible for were also paid late. Duke Energy was the only vendor that charged a late fee. Ms. Belt had a disciplinary hearing, and was terminated by the county on Nov. 15, 2017, for failing to discharge her responsibilities correctly. During this time, the Auditor’s Office and the water department worked together to ensure that all accounts that were past due were paid and that vendors would be paid in a timely manner going forward. After her termination, Ms. Belt’s emails were forwarded to two other executive assistants in the department who assumed her responsibilities. They noticed that a county credit card account at Lowe’s that was in Ms. Belt’s name had a number of gift cards on it. Further investigation found that she had opened up online a Lowe’s credit card for herself while she was opening cards for three water treatment employees. A check of previous statements found that a total of $10,841.65 had been charged to Lowe’s that appeared to be for personal use, including gift cards. In Clermont County, all spending on credit cards must be approved by a supervisor who sees an invoice. It appeared that Ms. Belt falsified invoices, or put in invoices twice. Shortly after Ms. Belt was terminated, the county asked the Sheriff’s Office to investigate this matter. The results of the investigation were turned over to the Prosecutor’s Office. Ms. Belt was charged with felony theft and was indicted on Feb. 6, 2018. Prior to the indictment, the office of the State Auditor began its annual audit of Clermont County. At the time, the office of the County Auditor informed the State Auditor that there was a case under investigation that involved possible misuse of county funds. In a separate meeting, the Auditor and Prosecutor’s Office met with the State Auditor’s representatives on this matter. Mr. Bloom has instituted new practices in his department. All Lowe’s cards have been pulled. Supervisors must now match the hard-copy invoice to the screen invoice before approving. In addition, most departments and offices in the county now use procurement cards, which have limits on the kinds of transactions, the number of transactions, and the monetary amount of transactions that can be made. The investigation involved many county offices – Water Resources, the Office of Management and Budget, the County Auditor, the Sheriff’s Office and the Prosecutor’s Office – who worked diligently to address the matter. 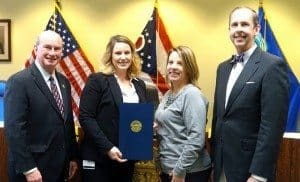 BATAVIA, Ohio (March 23, 2018) – in 2017, victim advocates in Clermont County came to the aid of 2,500 victims of crime in the county. This included 344 cases of adult assault, 342 cases of burglary, 110 cases of child abuse, 723 cases of domestic violence, and 695 cases of theft or financial crime. And there were many more. Stephanie Ross, program director of the Victim Advocate Program for the Prosecutor’s Office, relayed these numbers to Clermont County Commissioners on March 21 during weekly Session. Commissioners proclaimed the week of April 8-14 National Crime Victims Week in Clermont County. Working out of the Prosecutor’s Office, victim advocates help their clients navigate a complex court system. They refer victims to social service agencies. They help victims get compensation. Advocates can be a voice for victims when the victims cannot find their own voice. To honor Crime Victims Week, a luncheon will be held from 11:30 a.m.-1 p.m on Thursday, April 12, at Pattison Park Lodge, 2228 US 50, Batavia. 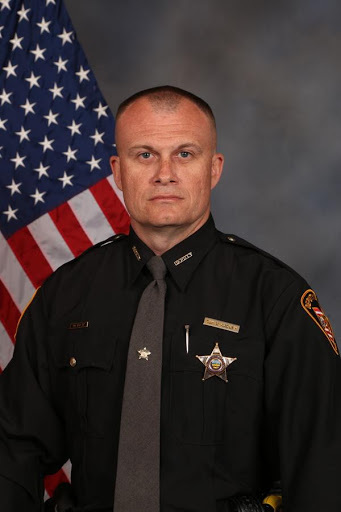 This year, the lunch will feature speakers Darren Miller, chief assistant prosecutor; Chief Deputy Chris Stratton of the Clermont Sheriff’s Office, and Jennifer, a survivor of domestic violence. This community event is open to the public. Those who would like to attend should RSVP Ross at 513.732.7263 or email her at sross@clermontcountyohio.gov. Read more about the Victim Assistance Office. Read more about the YWCA House of Peace. Staff from Greater Cincinnati YWCA and Prosecutor's Office with Commissioners on Oct. 25, 2017. BATAVIA, Ohio (Nov. 2, 2017) — Among the many missions of the YWCA in Greater Cincinnati is to empower women and help families. One crucial way the organization does that is by offering victims of domestic violence help – and hope. In Clermont County, the YWCA operates the House of Peace – a secure location for women and children who are victims of domestic violence. Since the beginning of 2017, the House of Peace has sheltered 75 women and 41 children, said Shana Cronican, House of Peace manager, who has worked there for two years. This year the staff has fielded almost 2,000 calls for assistance, and helped 500 of them. The House of Peace has been a mainstay in Clermont County since 1981, although not always in the same location. It is funded through federal grants, grants from the United Way of Greater Cincinnati, and private donations. It can house up to 14 individuals at one time, Cronican said. 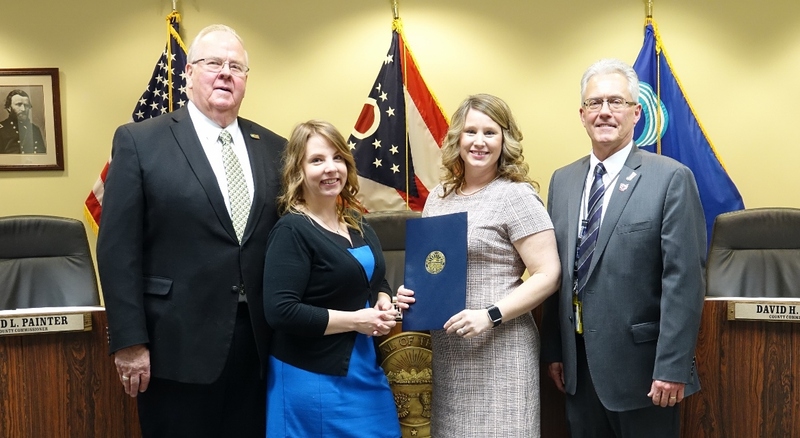 A recent proclamation from the Clermont County Commissioners declaring October Domestic Violence Awareness Month cited studies showing that 1 in every 3 teenagers, 1 in every 4 women, and 1 in every 6 men will experience domestic violence during their lifetime. Approximately 15.5 million children in the United States are exposed to domestic violence every year. The House of Peace can offer a safe space from that, Cronican said, and the tools to help victims escape their situation. The YWCA staffs a hotline 24/7 – 513.753.7281 – and calling that is often the first step toward being admitted to the House of Peace, or another shelter. But those who call may have other needs, not necessarily shelter. 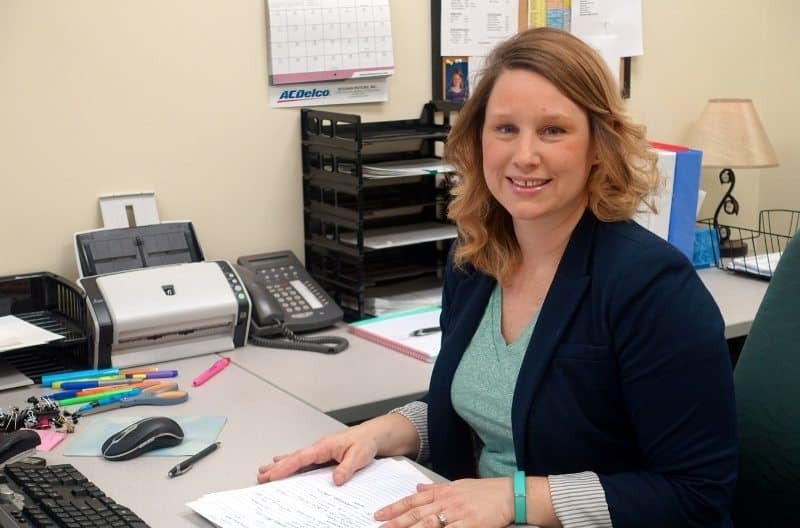 “We are well equipped at the Y to connect any caller to community resources,” Cronican said. When a woman enters the House of Peace, she enters more than a home. She enters a program to provide her with the tools she’ll need to bring some stability and safety to herself and her family. The average stay is 40 days and every program is tailored to the individual, Cronican said. The YWCA has a Transitional Living Program that can provide rental assistance, she said. Donations can be made to: The YWCA Greater Cincinnati House of Peace online at ywcacincinnati.org, or mailed to 898 Walnut Street Cincinnati, Ohio 45202. Please call Shana Cronican at 513.753.7282 for more details. 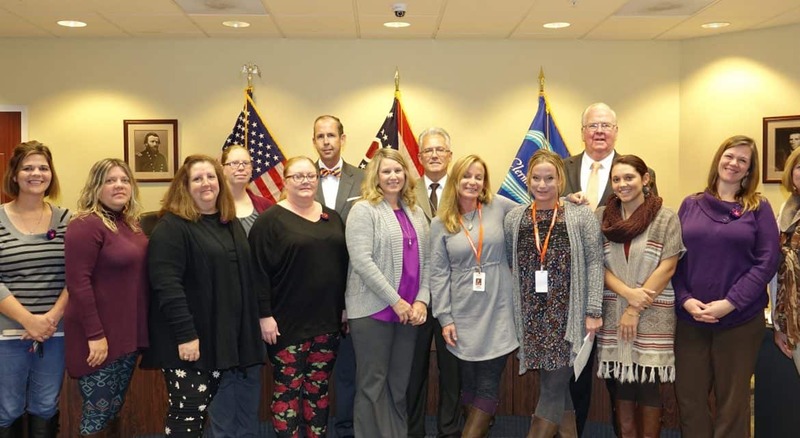 Photo: Staff members from the Greater Cincinnati YWCA and the Clermont County Prosecutor’s Office and, in back row, Commissioners David Uible, David Painter and Ed Humphrey. BATAVIA, Ohio (March 3, 2017) – Clermont County’s 4th annual National Crime Victims’ Rights Week Luncheon will be held at 11:30 a.m. on April 6 at Pattison Park Lodge, 2228 US 50, Batavia. The public is invited to attend. The lunch is sponsored by the Clermont County Advocacy Alliance on Violence and the Clermont County Sexual Assault and Child Abuse Team. Speakers will include Scott O’Reilly, an assistant county prosecutor who specializes in child abuse, domestic violence and sexual assault cases, as well as two survivors of domestic violence. “We began this luncheon four years ago to shine a light on crime victims in Clermont County and to bring awareness to the resources that were available to help them,” said Stephanie Ross, Director of the Victim Assistance Office within the Prosecutor’s Office. Her office assisted more than 2,300 victims of crime in 2016. 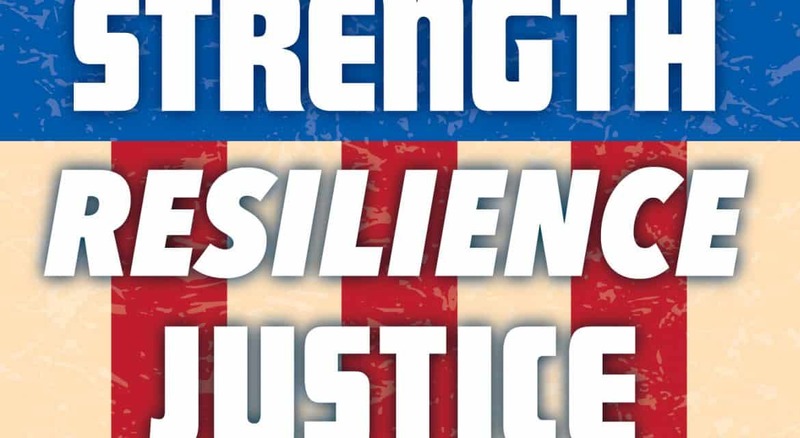 The members of the Advocacy Alliance include the Prosecutors Office, YWCA, Mental Health & Recovery Board, Juvenile Court, Sheriff’s Office, Child Focus, and Greater Cincinnati Behavioral Health Services. For more information, contact Ross at sross@clermontcountyohio.gov. Newly elected officers of the Ohio Judicial Conference for 2017-18. Judge James A. Shriver is front row, center. COLUMBUS, Ohio (Sept. 21, 2016) — Judge James A. Shriver of Clermont County Common Pleas Probate/Juvenile Division was elected last week Chair of the Ohio Judicial Conference. He begins his two-year term on Oct. 1. “I am both humbled and honored that the judges of Ohio have placed their confidence and trust in me to lead the Ohio Judicial Conference in this time of a new beginning,” Judge Shriver said. Judge Shriver has been a longtime active member of the Ohio Judicial Conference, which includes all 722 Ohio judges. He has served on the Specialized Dockets Committee, the Criminal Law and Procedure Committee, the Committee on Community Corrections, the Juvenile Law and Procedure Committee and the Probate Law and Procedure Committee. Judge Shriver co-chairs the Court Administration Committee. 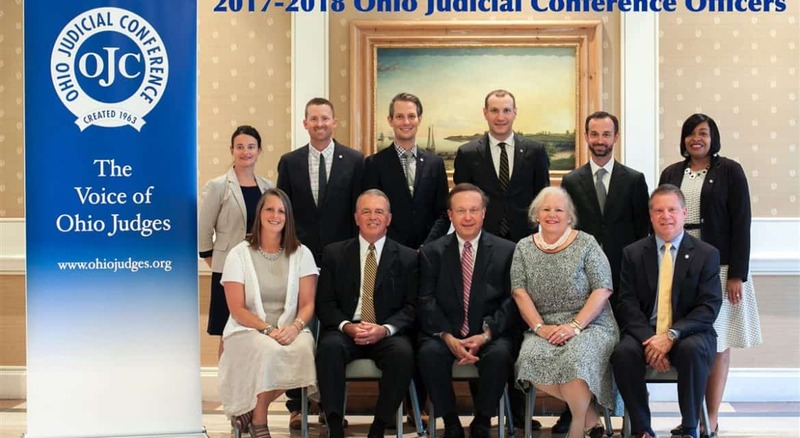 The Ohio Judicial Conference, a state entity in the judicial branch of government, works to improve the administration of justice. Judge Shriver will help lead the work of over 20 committees of judges active in all areas from judicial ethics, public confidence and community outreach. Before being appointed by Gov. John Kasich to the Juvenile/Probate Division in July 2013, Judge Shriver served 18 years as a Municipal Court judge in Clermont County. During his 21 years of service on the bench, Judge Shriver has pioneered many innovative programs designed to improve the critical thinking of offenders, reduce the rate of recidivism, and provide meaningful alternatives to jail time for many offenders. Judge Shriver began Ohio’s first OVI (Operating a Vehicle while Impaired) Court in 2005. 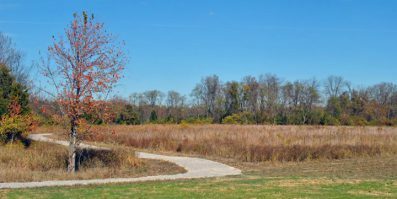 It has become a model for other OVI dockets throughout Ohio and has been recognized numerous times. 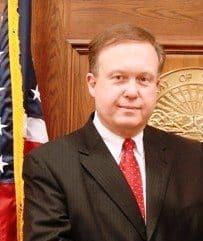 Judge Shriver currently operates a Family Dependency Treatment Court to address the needs of drug addicts whose children have been removed and placed in the temporary custody of Clermont County Children’s Protective Services. Judge Shriver has been a strong advocate of the victims of crime. He began his legal career as an Assistant Prosecuting Attorney in Clermont County, where he established the Victim Assistance and Mediation Program for misdemeanor cases. Recognizing that individuals and businesses can both be victims of crime, he developed and implemented a check resolution service in addressing bad check writers. Over a period of 6 years, the program collected more than $1.9 million for crime victims. He also developed a felony crime victim assistance program, which has served more than 5,000 victims. The late Chief Justice Thomas J. Moyer of the Ohio Supreme Court awarded a Certificate of Exemplary Services to Judge Shriver in recognition of his exceptional commitment to Ohio crime victims. Community involvement is an important part of Judge Shriver’s judicial service. He served as a member of the Clermont County Youth Services Advisory Board for 11 years. He also served as a member of the Clermont County Child Abuse and Neglect Advisory Board for 10 years. Judge Shriver is the present Chair of the Commission on Specialized Dockets of the Ohio Supreme Court. He is the Past Chair of the Criminal Justice Committee and the Traffic Law Committee of the Ohio State Bar Association, and a Past President of the Association of Municipal/County Judges of Ohio. He is the current President of the Mission Foundation of the Ohio River Valley District of the United Methodist Church. Judge Shriver has received the President’s Award for Judicial Excellence from the Association of Municipal/County Judges of Ohio, presented in recognition of outstanding and meritorious service as a municipal court judge. The Ohio Justice Alliance for Community Corrections awarded Judge Shriver the distinguished C.J. McLin Award given to an elected official who has worked towards the improvement of community corrections in Ohio. Other recognitions include the Wasserman Champion Award given for championing innovative services for consumers of mental health, alcohol and drug addiction services, the Safety and Justice Award from Clermont 20/20 and an award from the Clermont County Domestic Violence and Sexual Assault Task Force.